The Eldritch Essences Home Flame candle offers a stylish take on traditional pillar candles and comes in a range of colours and scents guaranteed to help fit perfectly with your home décor scheme! 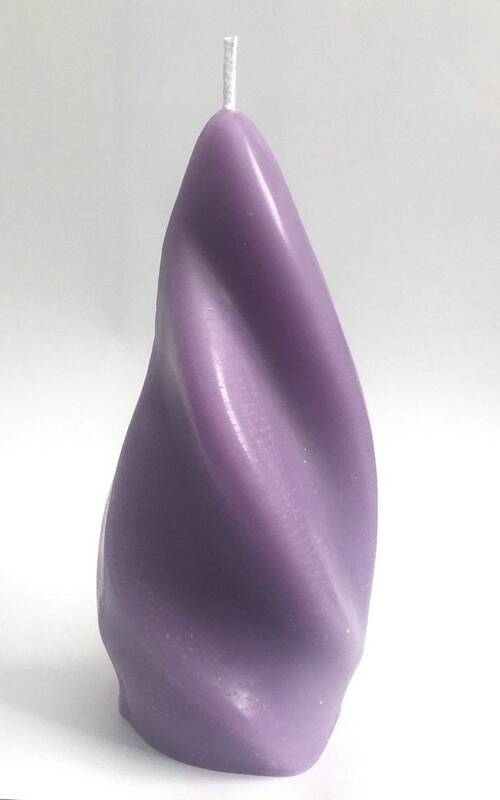 Ideal as a treat for yourself or a gift for someone special the Flame candle measures 14cm in height with a width of 6.5cm and a burn time of approximately 9 hours. The Eldritch Essences Home range scents offer a new and unique twist to beloved home scents and are detailed below. After Dinner – Meadow Green - A delicious chocolate mint scent, fresh and deep, perfect for anytime of day! Bayside Breeze – Black – A masculine scent delivering beach-washed driftwood and the freshness of rock salt to conjure up your own private beach! Holiday Home -Turquoise- A clean, lively scent evoking the feeling of fresh washed linen and a luxurious break from the hustle and bustle of life. Pharaohs Splendour – Lapis Blue – A rich, dark and opulent scent with notes of musk and Oudh, perfect for imagining the riches of the Pharaohs in your own home! Zen Harmony – Pale Orange – A softly, delicate scent combining both the clean fragrance of bamboo with the citrus spark of white grapefruit to help find your own relaxing, inner peace. Wildflower Walk – Ivory – A lazy Sundays summer stroll through the fields, peppered with the scents of various wildflowers ensured to relax and refresh. Summer Evening – Red – A blissful summer evening spent with a sparkling glass of champagne and fresh strawberries can now be yours all year round! Terrace Garden – Pale Rose – A walk along the terraces and the joys of fresh roses in bloom can be yours with the terrace garden scent. Serenity – Lavender – A soothing and relaxing scent made with the finest natural lavender oil to help you wind down after a long day! Valencian Grove – Tangerine – A citrus infused holiday to the heart of Spain, surround yourself with this zesty muddle of fresh oranges and lemons and allow yourself a break while still in the comfort of your own home!